IT'S just under a month until Liverpool welcomes back its International Music Festival for the fourth year running. Bringing musical heritage, diversity and brand new talent to its main Sefton Park stage, LIMF will span over four days from Thursday 21st to Sunday 24th July and will behold a theme of 'ReDefinition'. This year will also see the festival reach new limits, travelling to various stages and venues across the four-day event. 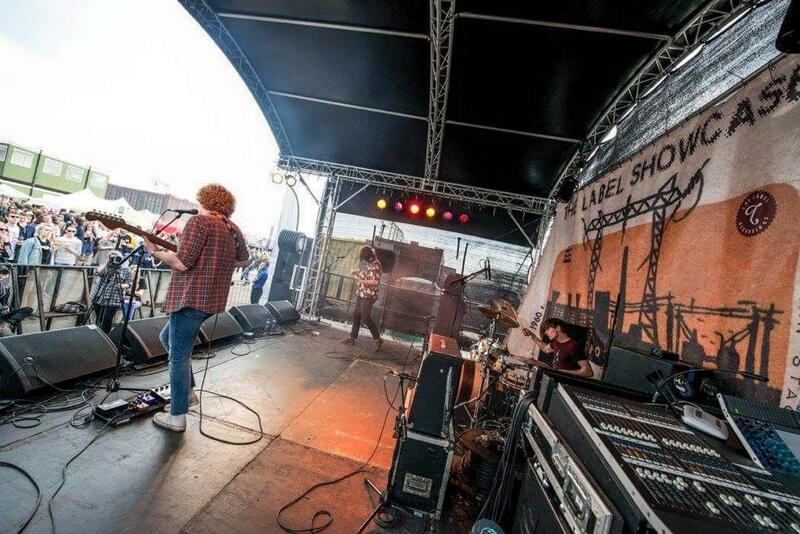 Whilst presenting well-known artists, LIMF is also renowned for picking the cream of the crop of local based talent for their Academy and local lads, Shrinking Minds are just one of the 20 artists that are part of the class for 2016. Releasing their track Chasing last month, recorded with Motor Museum's James Mellor, Shrinking Minds found themselves swamped in a great deal of publicity before they took to the Sound City stage on 28th May. With fans including Phil Taggart and Charlie Ashcroft, Shrinking Minds are looking to expand on their following, by taking their new-wave psychedelic sound across the country. We don't do very much on a day-to-day basis but we've been writing plenty of new songs to play and we've recorded some new things too. This year has been very kind to us because we have had some Radio 1 plays as one of the '#newnames' for 2016 and our songs have been on Made in Chelsea this season, and also Sky Sports, apparently. Isn't that great? How was playing Sound City for you guys? It was a really, really fun weekend and we got very drunk and had a fantastical time. We were lucky enough to be on what was probably our favourite stage of the festival and we had a lovely crowd too which is always nice. What was the thought process behind your latest track, Chasing? I don't really remember writing Chasing as that's one of our oldest songs - we were actually going to record it before we wrote Fun last year, but only got around to it at the start of this year. It's just another song about being bored, which is quite boring too really. Do you feel you've progressed or altered your sound since you first started? Who are you most looking forward to seeing at this years LIMF festival? We will probably try to go and see Buzzcocks, Craig Charles, Stealing Sheep and Trudy and the Romace. Are there enough opportunities for local artists to get involved with events such as LIMF? I think that regardless of the opportunities given to them artists and bands will create their own ways to do what they want to do and will play shows and write music and do whatever. I don't particularly think that there needs to be more opportunities for artists, but the fact that Liverpool has so much going on anyway is obviously not a bad thing either. What's on the cards for the rest of the year? We're going to record some more music and we might release it at some point this year if we feel like it, but we might not, so who knows. Hopefully we'll be playing lots more shows around the North soon and we might make another music video too because the 'Fun' video was great to make so that'd be something to do, perhaps. King Krule, Weezer, The Avalanches, FIDLAR, Chuck Berry, Parquet Courts, Death Grips, The Magnetic Fields, Built to Spill and lots, lots more. Be sure to keep up with more of our #LIMF2016 updates.